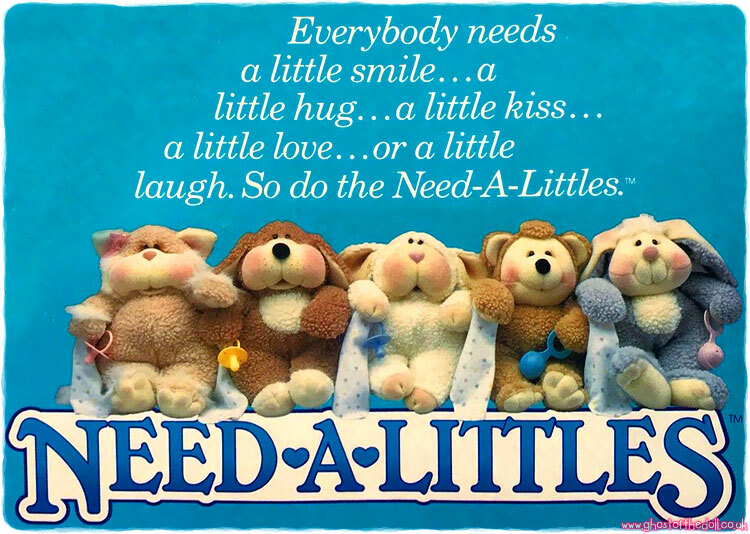 "Need-A-Littles are huggable, loveable fluffy animals just aching for attention. 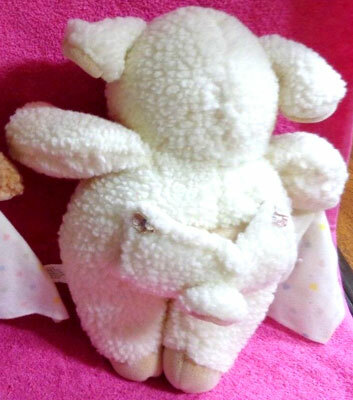 Can you fulfil their needs?" 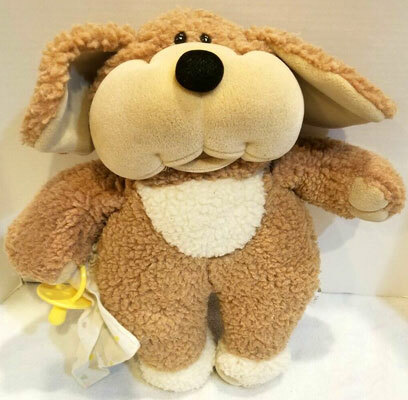 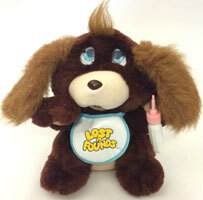 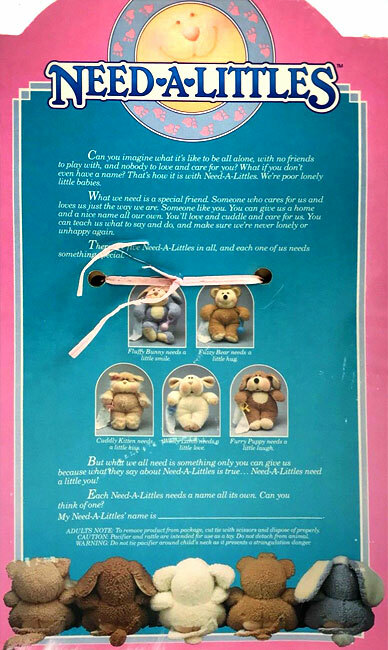 Need-A-Littles were produced by Matchbox in 1985 and designed by Linda Novich. 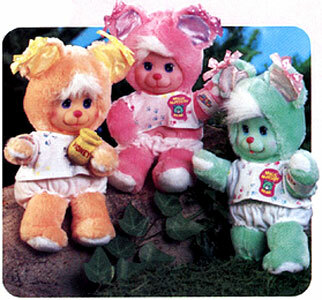 They were a series of 14" acrylic-fleece pets with a flap on their bottom (like a romper suit would have) which opened to reveal their bum cheeks! 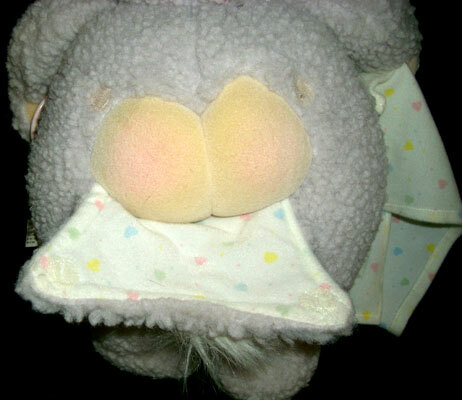 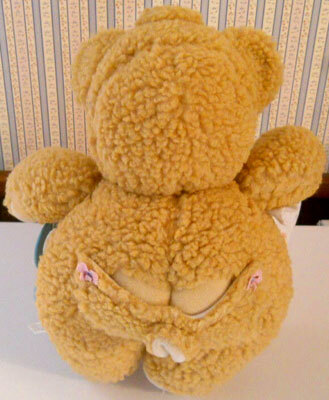 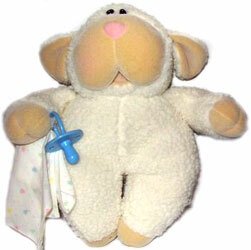 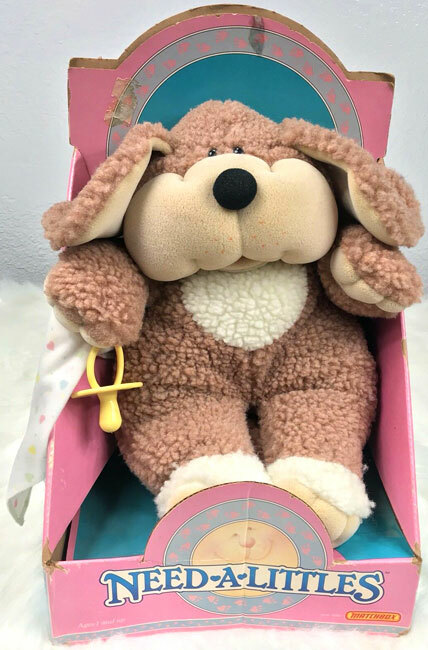 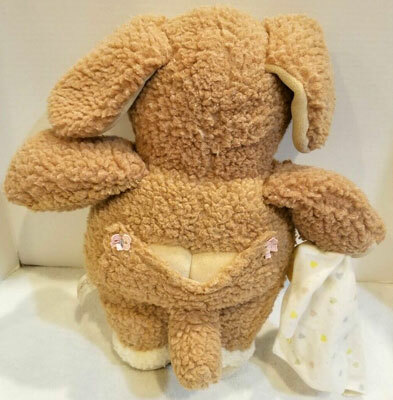 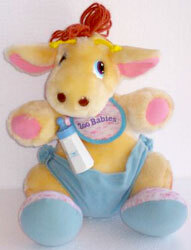 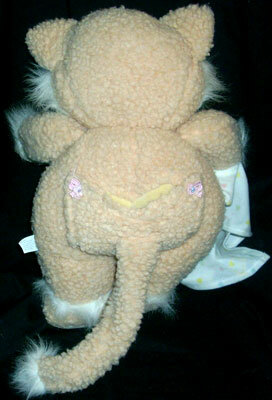 They each came with a dummy or rattle and a blanket attached to one paw. 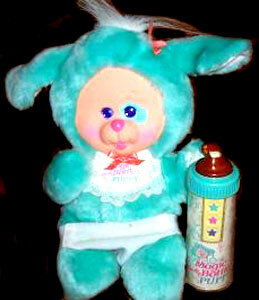 Images on this page thanks to eBay sellers vintage_toys_and_treasures , lorifaith2011 , c.ash$co & homemanager7 ! 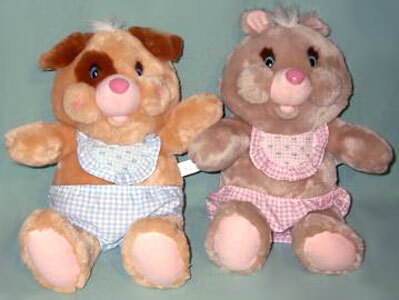 There were five Need-A-Littles produced. 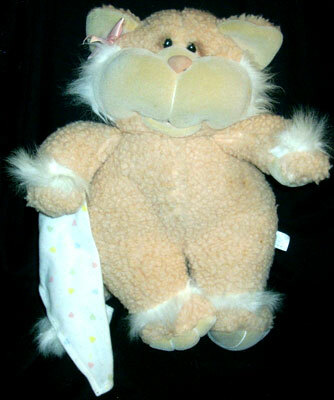 Cuddly Kitten "needs a kiss"
Fluffy Bunny "needs a smile"
Furry Puppy "needs a laugh"
Fuzzy Bear "needs a hug"
Cuddly Kitten came with a pink dummy. 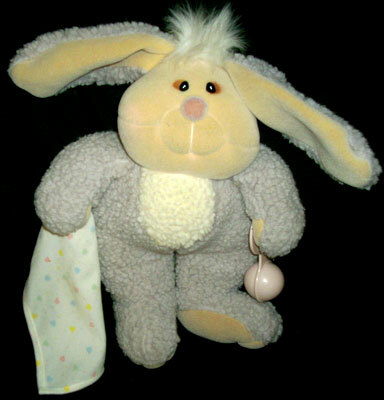 Fluffy Bunny came with a pink rattle. 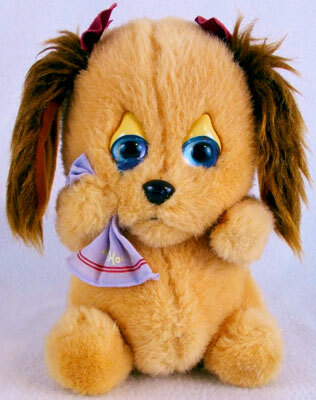 Furry Puppy came with a yellow dummy. 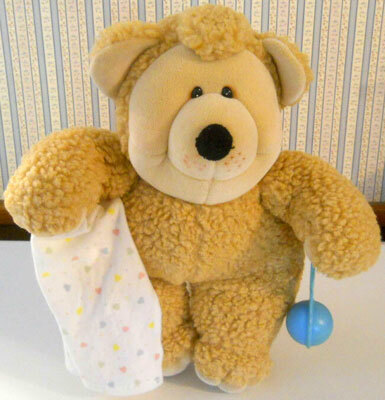 Fuzzy Bear came with a blue rattle. 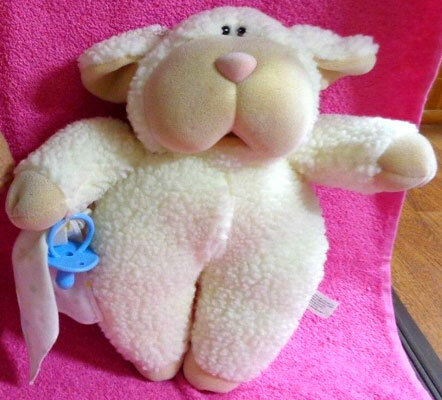 Wooly Lamb came with a blue dummy.